In need of a tune up near Cotati? RPM Automotive Services has been providing the car tune up for over 30 years. 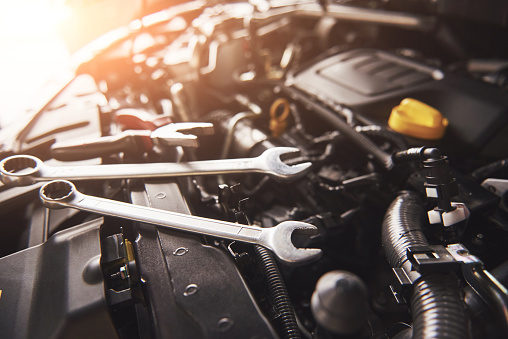 Regular car maintenance is crucial to extending the life of your vehicle for as long as possible, while also keeping its resale value as high as possible. When was the last time you had an oil change completed? Can’t remember? Is it overdue on the sticker on your windshield? Give us a call! When you bring in your vehicle for an oil change, we’ll complete a complimentary safety inspection. From there, we’ll recommend services that are due by time or mileage, as well as any repairs we see are necessary. After your oil change is complete, your friendly service advisor will go over the list of recommended services and/or repairs and prioritize them for you with what needs replacement or service now, and what can wait. We want to help you budget your time and money during your car tune up to make the automotive repair process as stress free as possible. We also provide a tune up near Cotati for road trips. Headed on a road trip soon? Schedule a road trip inspection today to make sure your vehicle is ready for the journey ahead. Please schedule it a week or more in advance if possible. Sometimes customers have been disappointed to find that during their inspection that was scheduled two days before their vacation that there was a necessary repair involved and took more than the time they had to fix. We don’t want this to happen to you! Give us a call today to schedule your appointment for a tune up near Cotati or at (707-800-4586). Or, schedule your appointment online here. We look forward to inspecting your vehicle and being your go-to location for all of your automotive repair and maintenance needs.